Join us as Brooklyn youth share their art to combat gun violence as part of the ART A CATALYST FOR CHANGE initiative! This event will include interactive art-making activities; live music, poetry, theater, and dance performances; community organizations on hand; and a keynote address by national social and criminal justice advocate, writer, and educator, Marlon Peterson; plus much more! Lunch and snacks will be provided, and there will be swag bag giveaways! Get Involved! These organizations will have representatives on-site to help you get involved with local activism and initiatives: Sadie Nash; SOS (Save Our Streets); Camba Cure Violence; Man-Up; G-MAAC; Recess Art Assembly; Operation Hood! 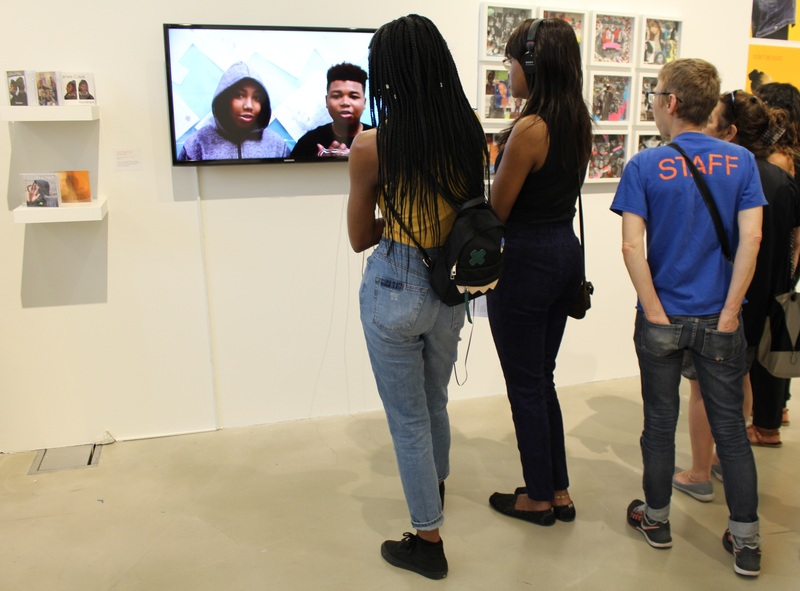 BRIC's 30th Annual Contemporary Art Student Exhibition, which includes two Anti-Gun Violence projects completed by students, on view in the Gallery. Art-Making: community mural, t-shirt screenprinting, community alter to honor those lost to gun violence. Welcome remarks and keynote address by Marlon Peterson at 10:45AM. Performances by Brooklyn area schools. Art A Catalyst For Change is a city-wide program initiated by several NYC Council members and dozens of activists as a way to raise awareness and end gun violence, through art. “Art has the power to change the lives of our young people,” said Majority Leader Laurie Cumbo, who, along with Council Member Jumaane D. Williams, spearheaded the initiative. This program is part of New York State’s Gun Violence Awareness month, and supported, in part, by public funds from the New York City Department of Cultural Affairs in partnership with the City Council.